There are many features to an umbrella. Umbrellas are used for all sorts of outdoor events, not just golf, and also provide a nice alternative to a corporate gift. Companies often use branded umbrellas, even in dry weather, as a marker or banner that can be seen from a distance over other people's heads. With very large print potential on 8 panels and some umbrellas being made from scratch it is possible to create a very unique and personalized product. 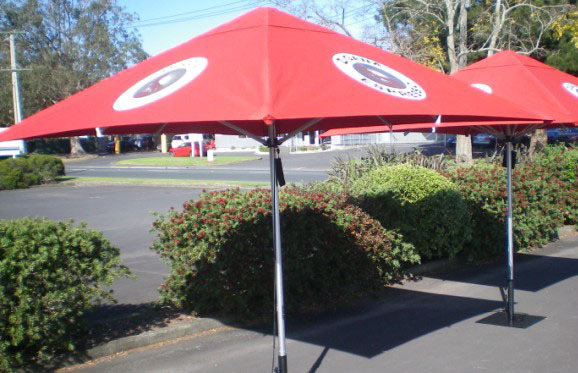 Branded umbrellas comes in different types of bases, most common are concrete base, water base, cross leg base, metal round base, spike base, branded bases, fiber base and many more.